The cover of the book is very attractive with vibrant colors and reinforces the message to be conveyed. 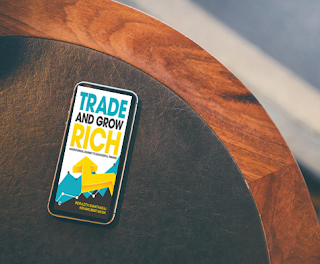 The tagline, “adventurous journey to successful trading” is shuttled across the book. A very practical approach with various examples from day-to-day life is explained by the authors who make the book easy to understand. This book will act as guiding source for those who are interested in gaining more insights to trading secrets. Although professional language is used, it is easy to understand. The use of charts is another aspect of the book which is appreciated. Although, I wouldn’t solely rely on the book as after all Share market can seldom be constant throughout. Take an informed decision always. However, the trade aspects which you need to know are described here. Copyright. Apurva Madhav Tupdale. ©. Ethereal theme. Powered by Blogger.